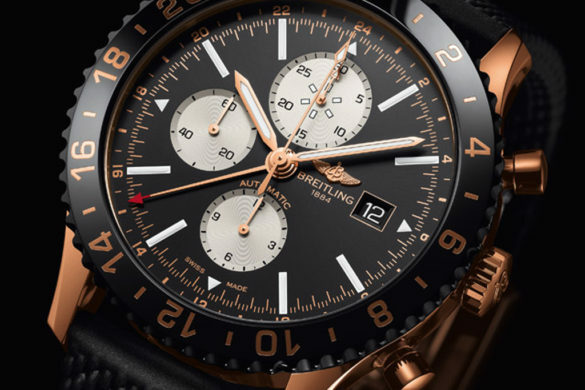 Breitling’s Chronoliner Triple Time Zone Chronograph is inspired by watches from the 1950s and 1960s. 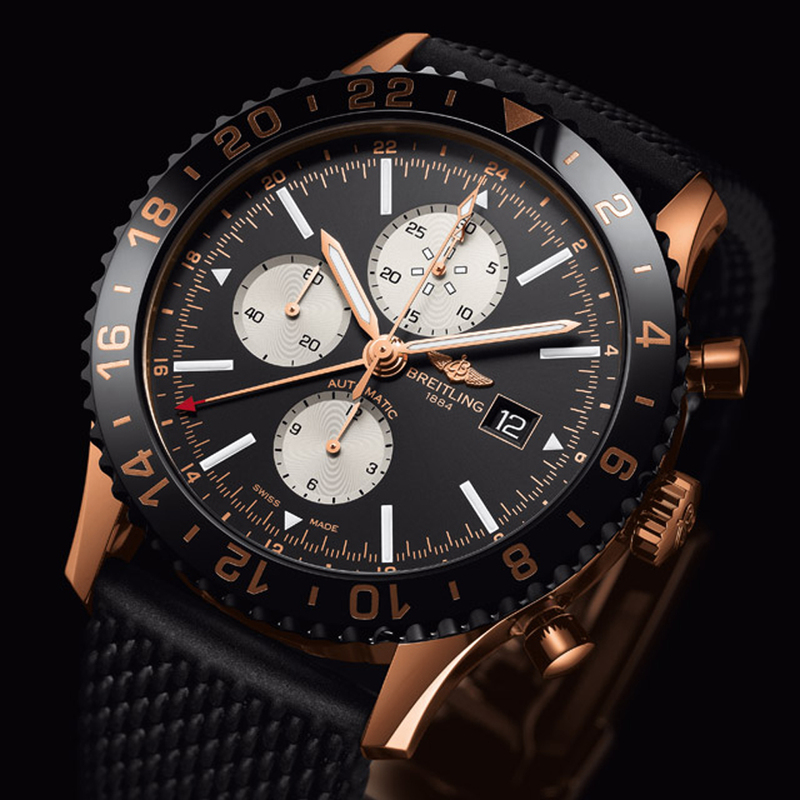 This new pilot, the Breitling Chronoliner Red Gold Limited Edition, is an addition to the current series with a new color and only 250 pieces are made. 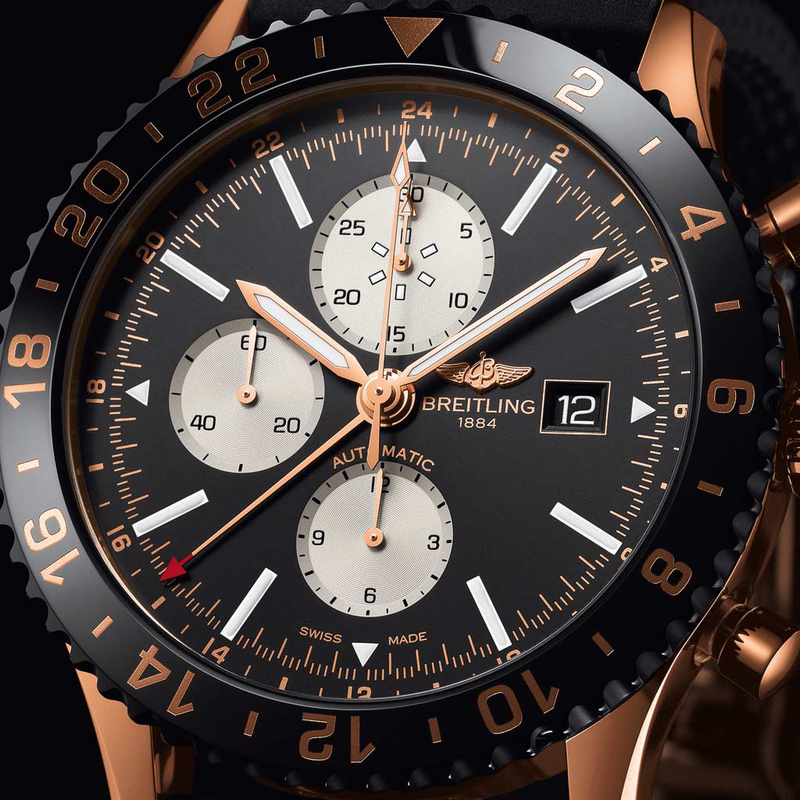 Its large 46 millimetre rose gold case houses the self-winding and COSC-certified Breitling 24 movement. It supplies a 42-hour power reserve. The first time zone is obvious. 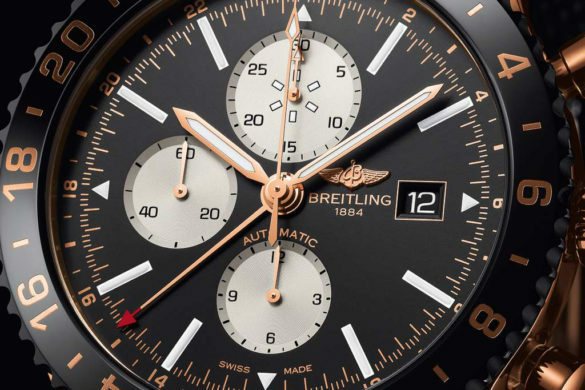 The second time zone is in the centre of the black dial with a red-tipped gold hand and a 24-hour scale and the third sets on the black rotating bezel. This bezel is made from ultra-hard, scratch-resistant high-tech ceramic whose star-shaped cut-out makes handling easy. 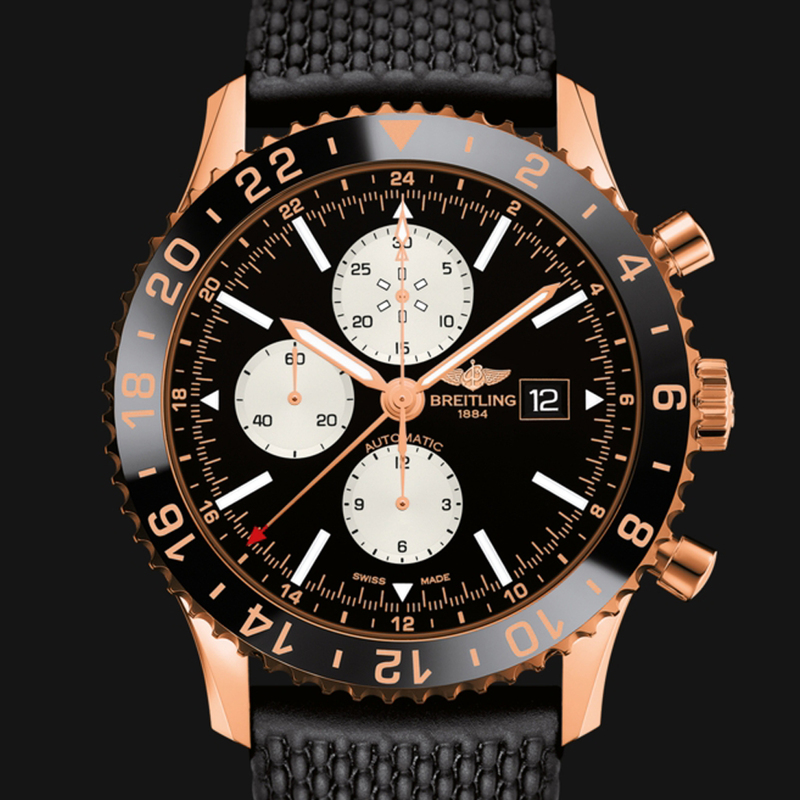 The small white dials are balanced by the date window and the logo on the right which gives it a sharp contrast with the matte black dial. 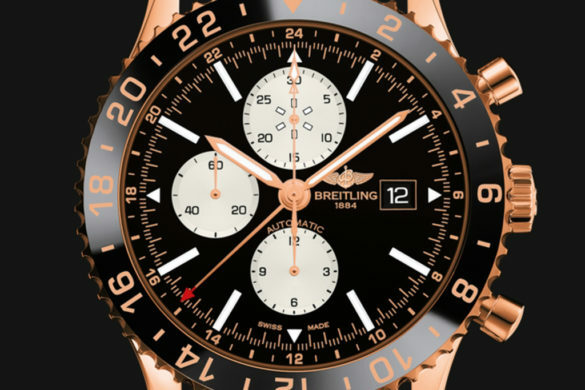 The 30-minute counter features six luminescent rectangles, characteristic of the Breitling Chronoliner. The white dials are decorated with a circular motif and a grey border for increased legibility. The red gold hands and indices are treated with luminescence. 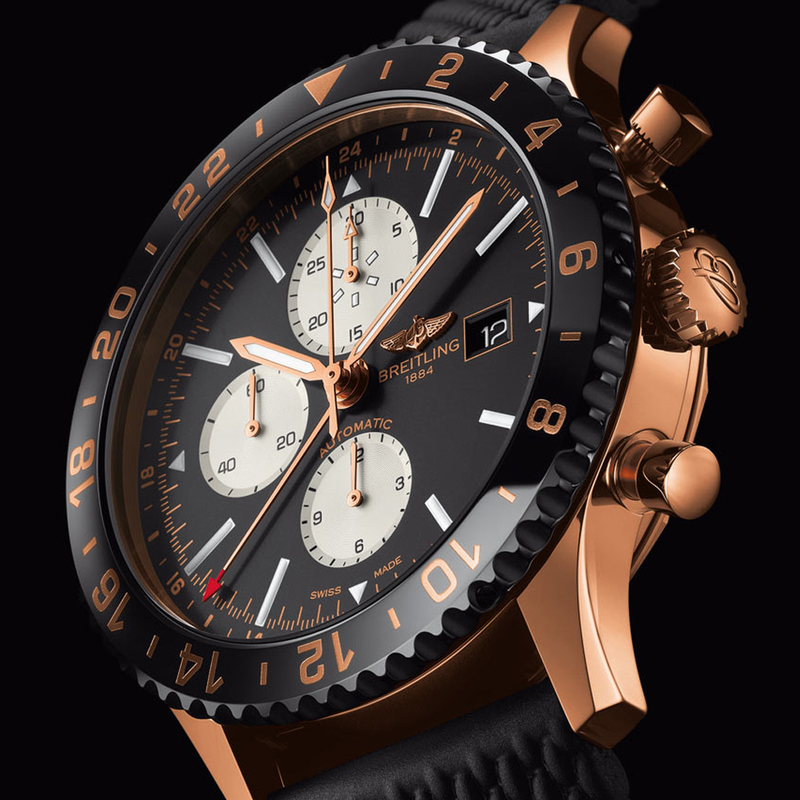 The chronograph functions are activated with piston-shaped pushers. 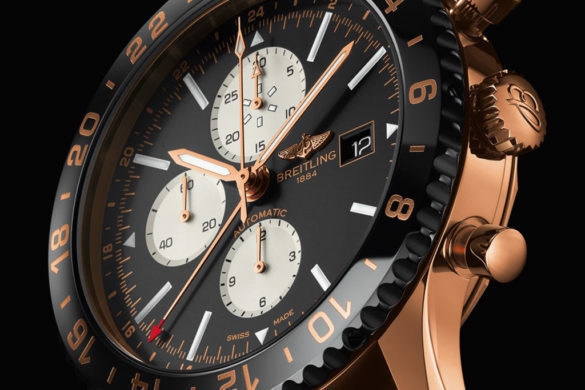 The strong look of the watch is enhanced by an exclusive rubber strap reminiscent of the design of the steel mesh Breitling Aero Classic bracelet. 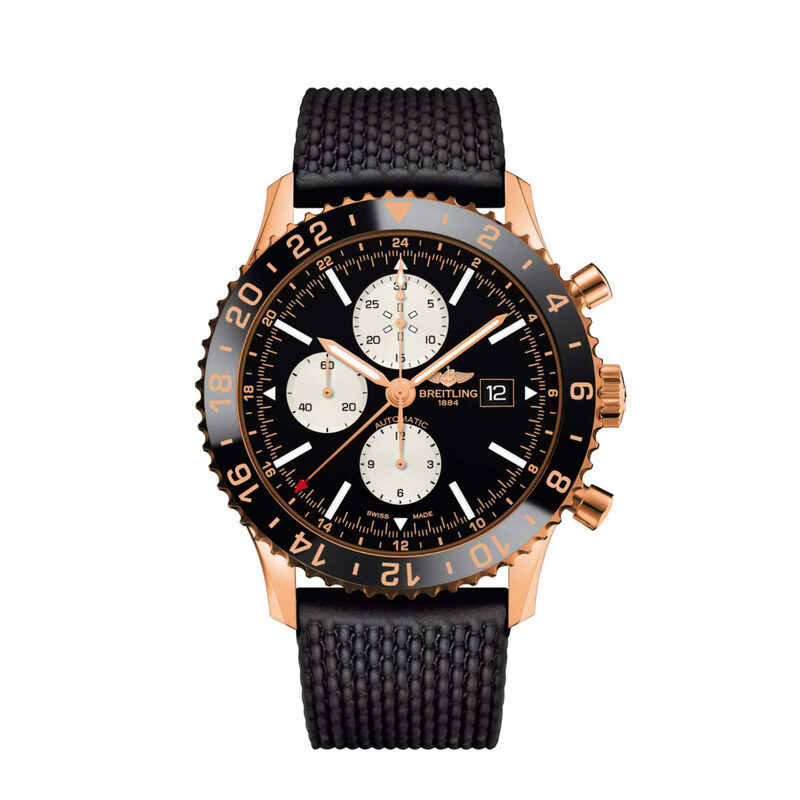 You can also choose for a leather or crocodile strap.